Note that these are complete books for download, large sizes! Here you find a superset of files from the, now inactive, UCSD Pascal Yahoo group file archive. floppyread.zip windows program to convert the images of the II.0 source floppies to .VOL files. mountable by the DOS and UNIX psystem. The SAGE computer, produced in the 1980’s by SAGE Computer Technology , is a 68000 cpu based with a version IV implementation of the p-System. David Erhart has collected much information on this machine at Sage computers. 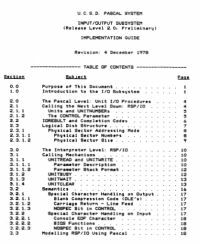 Of much interest are the version IV manuals like Internal Architecture manual and p-System Operating manual. Source archive at UCSD of early UCSD p-System for the Terak computer I.4 and I.5. Complete sources! 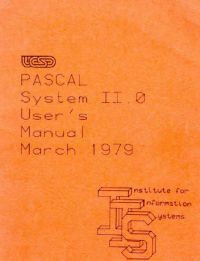 Pascal Px compilers were one of the various variants based on the brilliant idea of compiler-interpreter combinations. Started by Wirth in Zurich and perfected in the UCSD P-System. The abstraction delivered by the virtual machine implemented made these systems for the most part hardware independent. And the concept has not lost its value, the Java Virtual Machine with its byte and the .NET ideas are modern variants (and more viable due to the high performance for the money of modern cpu’s!) of the same. 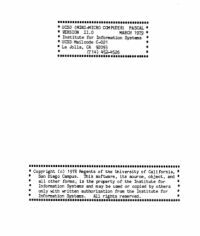 The UCSD P-System (and the popular variant Apple Pascal) extended the idea of compiler-interpreter to a complete and easy to use operating system. All character based and now looking old-fashioned. 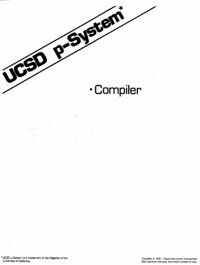 The UCSD P-System is a brilliant implementation of operating system, utilities and compilers, usable on very limited hardware like the Apple II, all writen in a high-level language. The compromise of using a p-code interpreter with a very small memory footprint for programs made it slow but powerful, and easy to run unaltered on different hardware. In fact, Java is identical, bytecode and machine indepedent. So the idea was not that bad at all! 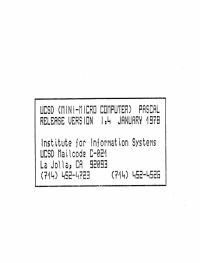 You can still run old and newer versions of the UCSD P-System on your Windows or Linux PC in a DOS box. 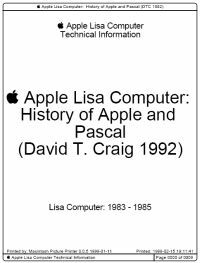 Grab a Apple II(GS) emulator (like KEGS) and find the Apple Pascal 1.x (close to II.1) archives (on ftp.asimov.com for example) and run Apple Pascal. 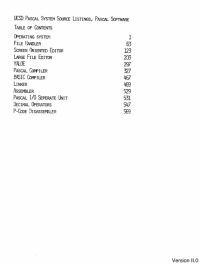 > psystem psystem.vol <any other virtual volume file>.Start the DOSFILER program to exchange files between DOS and the virtual p-System file system. Udo Munk has recreated various CP/M systems in an emulator on Unix from sources, and also the UCSD p-System. 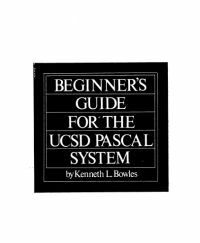 See here for a Quickstart to run UCSD p-System.